Morning lovelies – good grief, how did Friday sneak up on us like that! 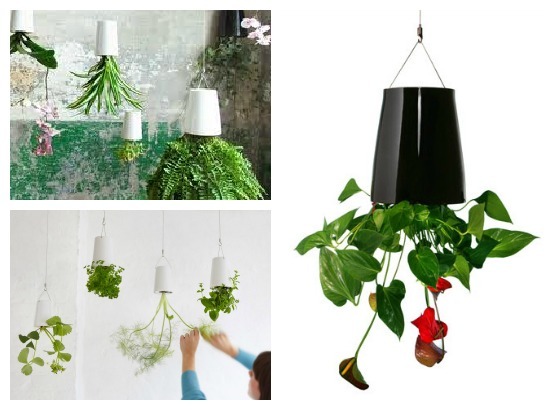 If you, like me have lusted after the gorgeous Boskke Sky Planter for a while, then today might be your lucky day! To celebrate their new online presence Joburg design and decor emporium L’Emile et Son is giving away not one but FOUR Boskke Skyplanters in black – how cool is that? Not only are they great looking, they’re eco-aware too, using a much smaller amount of water than other planters. Of course they’re brilliant for small spaces since they use ceiling space and not surface or floor space and they’re a good bet for a variety of plants and herbs including orchids which i think look so fabulous planted in them. Sky Planters encourage you to look up for the potential in your space for beauty. As Joburg stylemongers will attest l’Emile et Son has been their one-stop homeware and gifting stop since they opened in 2011. You’ll find a delightful range of quirky gifts and items that are both practical and pretty – and from a host of well-known and well respected brands too. They have designer tableware, gorgeous stationery offerings, clever storage solutions for home, kids and office, decorative wall tattoos and fabulous kitchen accessories for the style savvy cook. Stuff i know you’ll want, want, want! These would look fab on my balcony! ooooohhhh!! aaaaahhhh!!! that would be fabalous to get one of those…. already can see the expressions of everyone on this wonderful in-thing!!!! Aaah. I’ve been dying to try one of these. I want one! Would use it for herbs…. I absolutely get freaked out about alternative ways of planting, such as vertical gardens. With a Sky Planter you can bring life into your home, with the huge benefit that the dog can not touch your plants! Love these – perfect for my new kitchen! Or outside! saw these in a restaurant and loved them! Oh would so love a win. Am sure we will have fun wherever we hang it as my husband is sure to knock his head on it a couple of times!!! I want, need, really really love these!!! I have Liked and tweeted. Live in a small flat and hope I win one for my tiny balcony! Liked both pages. Very interesting concept. Done tralala… very very nice goodies. Liked! And love these planters! Yes Please!! Have luuurved these for ages!